Today is the Spring Equinox in the Northern Hemisphere, also known as Ostara. To celebrate this time I have not just one, but two new releases today. 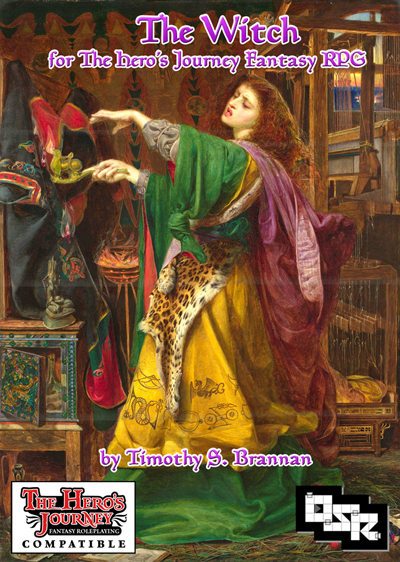 Presenting the Hedgewitch for The Hero's Journey Fantasy Roleplaying game. Can be used with HJ or Swords & Wizardry Whitebox or Complete. Fully compatible with The Witch, Eldritch Witchery, The Witch for Swords & Wizardry Light and The Witch: Aiséiligh Tradition for Swords & Wizardry. In fact, all are designed to work together as a complete whole. Getting these various witches to work together in your is another matter entirely. A softcover print version is in the process of heading to the printer. I am just waiting on OneBookShelf on this, they are taking longer than expected. 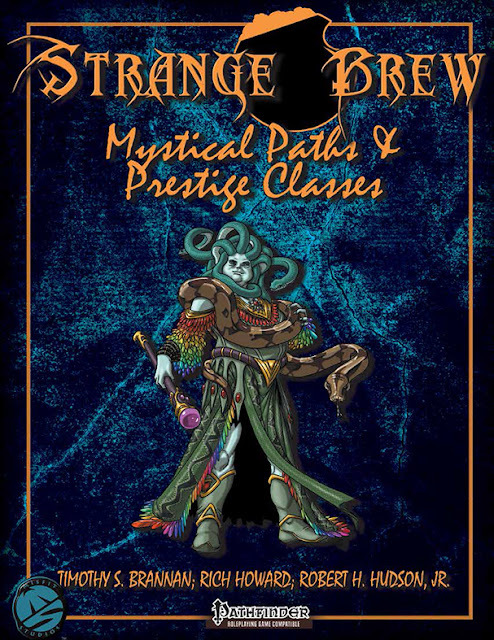 Also released is the next book in the Strange Brew series for Pathfinder. Witches and warlocks come in all shapes, sizes, genders, philosophies, alignments, and focuses. Many of these concepts are expressed through archetypes, but some concepts require a bit ... more ... to fully be expressed. Here are 23 Prestige Classes for your witch or warlock, allowing them to focus on specific aspects of being a witch or warlock, or a specific type of witch or warlock with more control than an archetype gives you. With them, your witch isn’t "just" a witch, she’s a Tempestarii Storm Raiser, or he isn’t "merely" a witch, but an Occult Scholar. Help find the true destiny of your witch or warlock! Also included are some of my favorites, the Imbolc Mage and the Queen of Witches. Regardless of what game you prefer, I have a class for you. Time to make some magic!